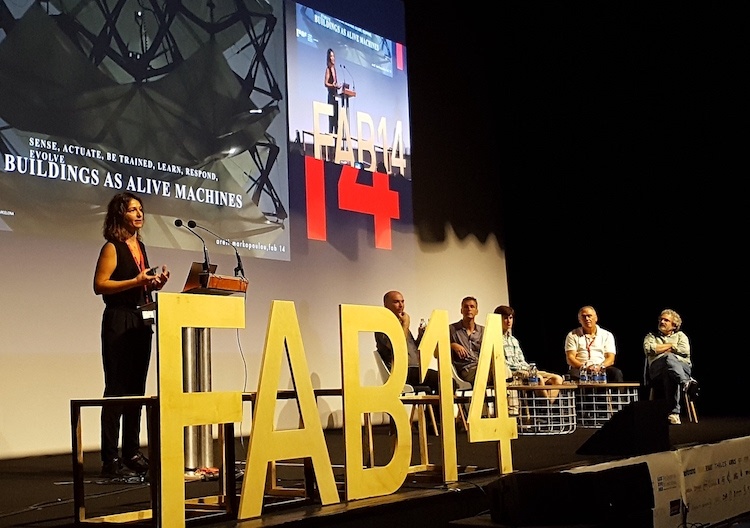 In Toulouse and for the first time in France, on July 16-20, the FAB14 international fablab conference was held under the theme “fabricating resilience”. Will fablabs fill the gaps of our collapsing world? Fabricate resilience—yes, but how? And first off, what exactly is resilience in the context of digital fabrication, and more precisely of the international conference of MIT-certified fablabs, which concluded on July 20? 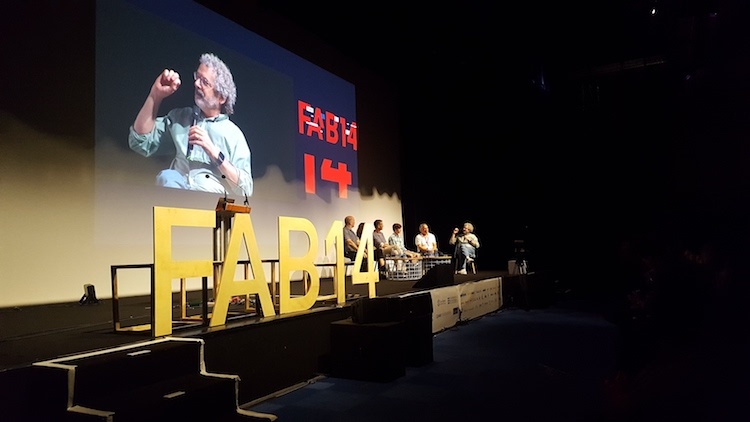 Neil Gershenfeld suggested one approach at the opening of FAB14 (we talked about it here), with a rather optimistic vision of the future of fablabs (“one million…”). Neil Gershenfeld on stage at the Convention Center in Toulouse. The fabcity gives an idea of what this resilience refers to: transforming the city, localizing production, deconstructing consumer cycles by rethinking ecology, sharing resources and knowledge. The Fab City Summit, held in Paris leading up to the fabconference, offered a broad view of the possibilities. 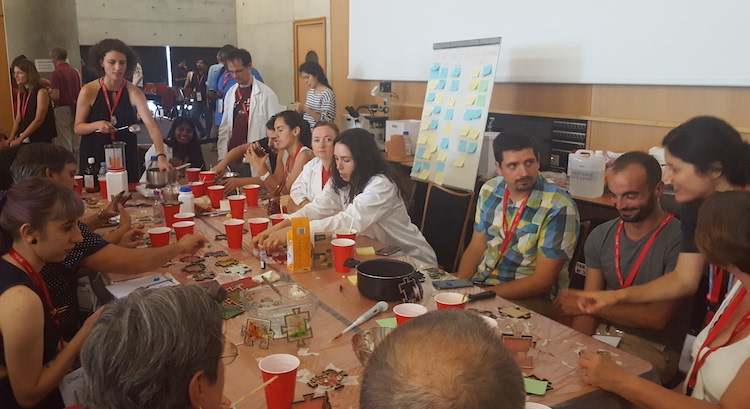 In Toulouse and in the context of FAB14—this meeting, or rather reunion, of the fablab community (including Sherry Lassiter’s “baby fablabs”, shared moments of friendly Fabercise, from women to children to Peruvians…)—, this vision of resilient fabrication is not quite as sharp. The atmosphere inside the Pierre Baudis Convention Center, with its imposing and not-really-DIY decor, is quite welcoming, joyful, positive without simmering in techno bliss. Fabricating resilience is not so clean, despite the talks that fill our mornings (food, mobility, machines, money, access), somewhat belabored (three or four invited guest speakers do an introduction, followed by a little discussion, not really involving the audience…), and dozens of workshops attended by enthusiastic fabbers, from making bioplastics to discovering smart textiles or mastering SolidWorks! Greek architect Areti Markopoulou from the Institute for Advanced Architecture of Catalonia presents graphene composites that respond to their environment. How to make your own bioplastic in two hours. 2018 Fab Academy graduates (with their professor Neil Gershenfeld in the middle). How to make progress in resilience? Nobody has “the” definitive answer, and no speaker will risk giving us a lecture on it—not even Gershenfeld, the all-powerful master of ceremonies. 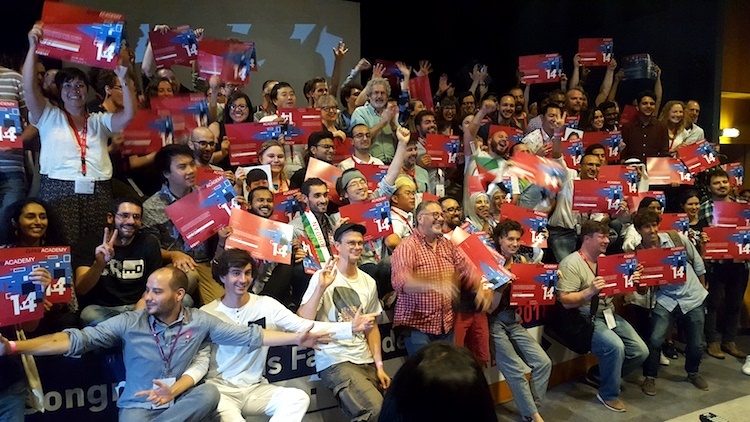 The 1,200 FAB14 participants (official number provided by the organizers, with no further details), mostly from America, Europe and Asia (only a few came from Africa), form a community. It’s already a first element of response to the question of resilience: together, we can act. And this said community is delighted to come together, exchange and participate in workshops and discussions, discover new DIY electronics projects, dance to the rhythm of Fabercises that punctuate each morning. 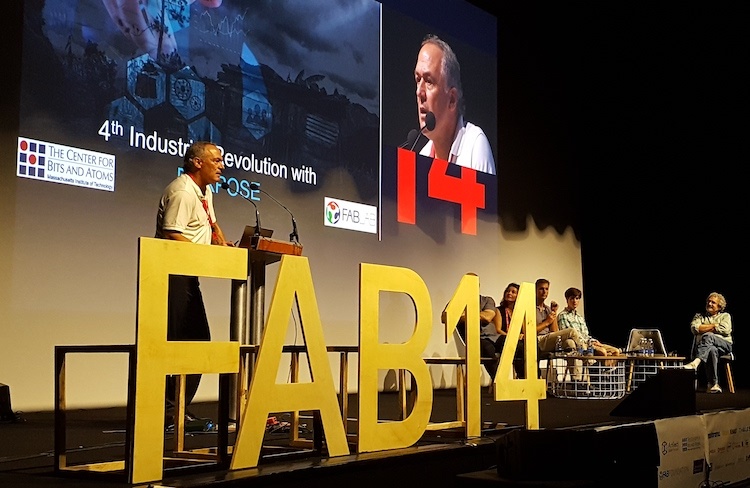 Alfredo Zolezzi talks about the “4th industrial revolution with purpose” at FAB14. In any case, resilience is not giving in to the sirens of disruptive innovation—pushing these open source projects to share over the network, as FAB14 did for some of them, as a way of supporting them, offering them visibility and helping them fill the gaps. In no particular order, here are some of the projects we saw that could help where it hurts. 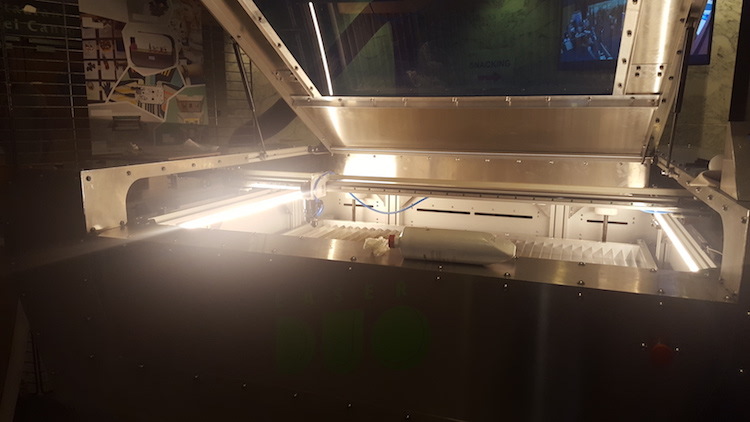 Laserduo, a 100% open source laser cutter for metal and wood. With its components duly documented by maker Daniele Ingrassia. The open source laser cutter Laserduo, a beautiful beast that could rival the big laser cutters on the market, cuts wood and metal, and can also turn into a 3D printer. Created by an authentic fabber at Kamp-Lintfort fablab at the Rhine-Waal University of Applied Sciences in Germany (see the mini-portrait of its maker, Daniele Ingrassia, here). Materiom, the elegant platform for shared recipes launched by Alysia Garmulewicz of the University of Santiago de Chile, along with a group of international researchers and makers (interestingly, the majority of which are female). Materiom seeks to document techniques for making new materials from waste, recycled or locally found objects (mussel shells, potato starch, cork, coffee residues…), inventing a new generation of bioplastics (made of gelatin, agar, sucrose composite) and environmentally friendly ingredients. The workshop, patiently and graciously led by Alysia, showed that we can participate locally in this resilient circular economy that is less destructive to the environment. – Jobs.fabeconomy, a platform to share job offers within the network of fablabs. – FabDx, the initiative announced (but not yet online) by Tomás Diez of the Fab Foundation, an incubator of talents from the Fab Academy to prevent “losing talents to the labs after training”. – And this surprising project, which may no longer be so unexpected in a few more years: Claudette Irere, in charge of innovation and economic development at the Rwandan Ministry of Information, Technologies and Communications, is at FAB14 representing the very first fablab opened in Kigali. In terms of career management, it’s a nice perspective for fabmanagers! She explains that her country, where “65% of the population is under 18 years old”, will open three new fablabs, because these spaces are “hubs for creating jobs”, that the government doesn’t expect a return on investment in the short term, and is instead “waiting for young people to invent solutions to unemployment”. Meanwhile in politics, Paulo Rosa of the European Commission’s Joint Research Centre declared that “The maker movement is a source of inspiration” to “explore new ideas” in Europe. Finally, we like the idea that Bhutan, a country wedged between India and China with a population of less than one million, was selected to host FAB17 in 2021 (2019 is FAB15 in Egypt, 2020 is FAB16 in Montreal). 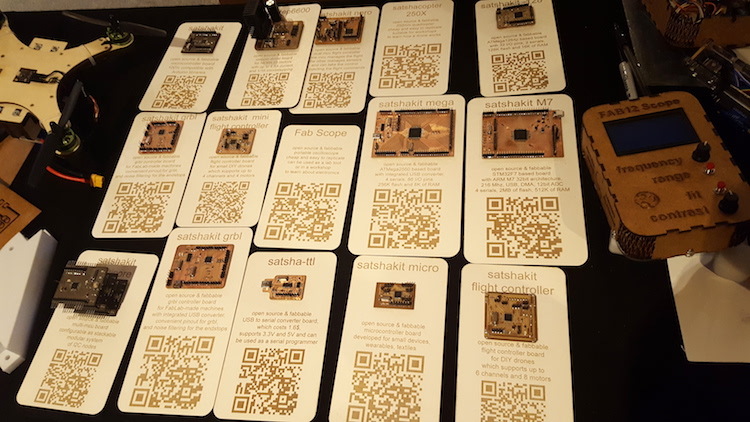 Bhutan boasts 38 fablabs (!) and has promised organic food—that’s already better than Toulouse, where the university cafeteria meals failed in terms of both French gastronomy and local produce.